Also known as "reverse mullet" (and a few other colorful names) a 97.5 is a bike build with mixed wheel sizes, more specifically, a 29" wheel at the front and 27.5 at the back. The first one I remember seeing on sale was the Foes Mixer, which had good reviews and was revolutionary for its time. Now that the UCI has greenlit mixed wheel sizes back in competition, expect to see more reverse mullet bikes on the media. This thread is to discuss possible builds, actual retail releases, and share experiences with building, riding, and racing 97.5 AM bikes. I ride a 27.5” front and a 26” rear. With Maxxis 2.5s there is hardly a difference in diameter. I can’t quite fit a 27.5” wheel in the back, otherwise I’d try it. No downsides, so far. I rode a Tantrum mixer... The geo wasn't quite what I was looking for but I think there's huge potential in the combo. Why not take the best of both wheel sizes? I always loved riding my B6er. I would definitely be down to try one, if you could keep the SA at 75º. 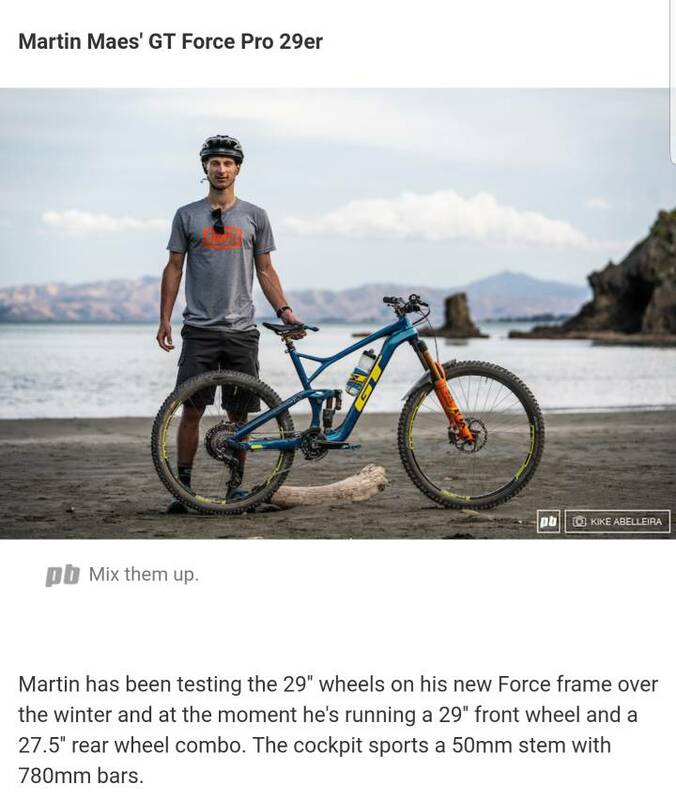 Martin has been testing the 29'' wheels on his new Force frame over the winter and at the moment he's running a 29'' front wheel and a 27.5'' rear wheel combo. The cockpit sports a 50mm stem with 780mm bars. I'm guessing he's using a 50mm stem to match the 51mm offset on the fork. I hope he does well in Rotorua. Liteville has been doing this for years. Their larger bikes use 29F and 27.5R. Smaller sizes use 27.5F and 26R. I've been on a Tantrum 29ee(140mm)/27.5(160mm) and it's an amazing bike coming off a Lenz 29er(100mm f&r). No regrets with a mixed up bike for me. Finn Illes narrowly missed the top step (by 0.09 sec) at Crankworkz today. I know it's DH but it shows running a 97.5 setup can be a boost for some riders and riding styles. 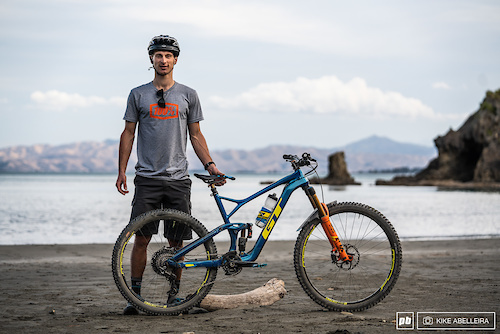 Martin Maes just won EVERY stage of the Rotorua EWS on his 97.5 Force. IAUI switching a 27.5 wheel and fork to a corresponding 29" setup would raise the bike's front end by about 35-40mm which is quite a lot and probably throws the bike geometry pretty seriously out of whack. I wonder how much front travel Maes has in his rig? Martin's probably using a 150mm 29 fork. The Force was designed with a 160mm 27.5 fork in mind, which has an axle to crown length of about 549mm (Fox 36). A 150mm 29 fork has an A2C of 557mm. Even at 160mm, we're only looking at an 18mm difference. The Sensor and Force have the same front triangle, too, so the geo won't necessarily get that screwed up by using a 29 front wheel. Offset bearings and anglesets are also available to mitigate changes with their setup. Last Saturday a friend acquired a used Production Privee Shan 27.5" frame. The plan was to build it spending zero extra cash, using just spare/borrowed parts. He only managed to find a 29" 120mm fox 34 with a 29" wheel and 2.6 tyre for the front, which proved to be roughly equivalent in length to a 27.5 140-150mm fork (frame is rated for 140-160mm). 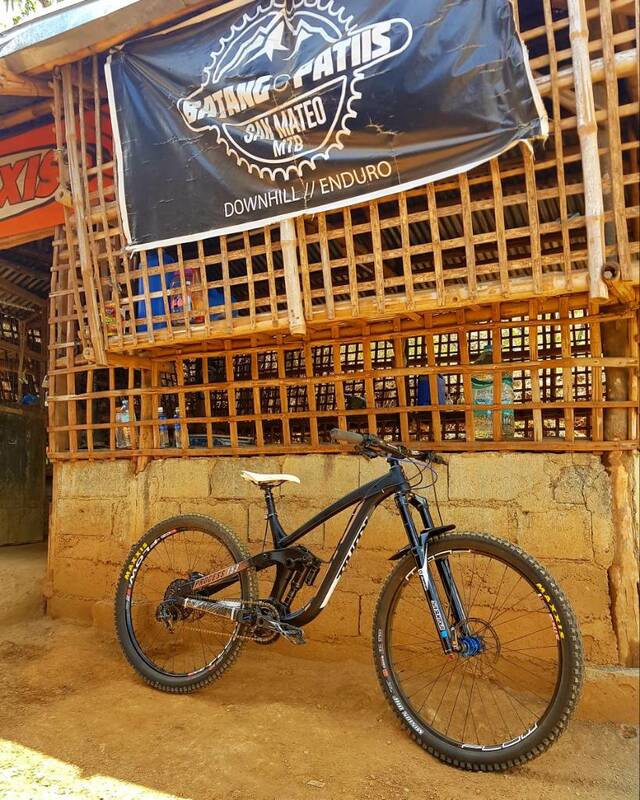 The rear is a 27.5 Flow with a 2.25 tyre and the rest of the build came from components we had laying around. 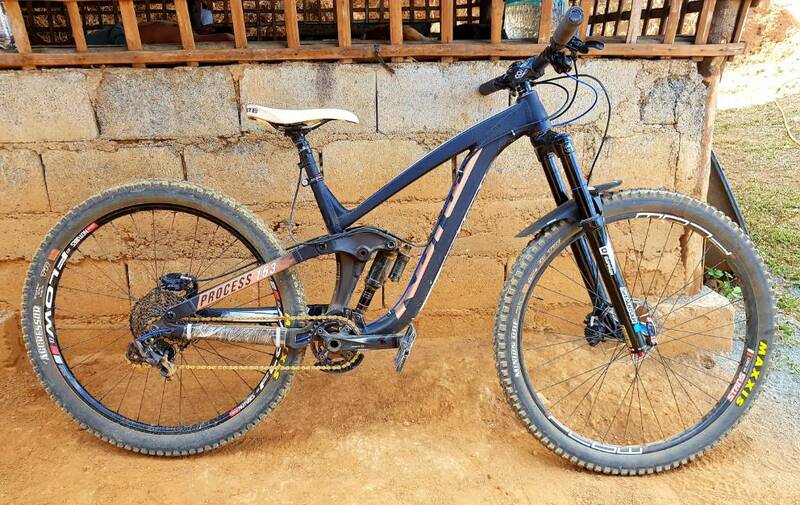 We proceeded to test it immediately on some nearby urban trails, and surprise surprise, it rode just fine. Nothing weird about the handling, climbing, descending or turning. Just some extra stability on the front end compared to my own 27.5 AM hardtail with similar geo. . Using our phones the head angle measured around 65.5 and the seat tube around 72 degrees. BB height came out around 315mm. None of us has tried the bike in full 27.5 configuration so we can't compare, but as a 97er it felt perfectly natural. Getting the rear shock to track the same way as the fork took a bit of tuning and testing. After doing 5 runs, I was surprised to see that I beat a Strava PR in 1 segment by 9 seconds (1:53 to 1:44) on my 5th run. I wasn't even pushing as I focused on getting the suspension dialed. I'm definitely sticking with this build for the time being. There's a bit of understeer but all you have to do is lean the bike more. Otherwise, it's very maneuverable. It flies higher on jumps and that's probably due to the added speed you carry (and the really short chainstays of the Process). I'm a big fan of this concept. 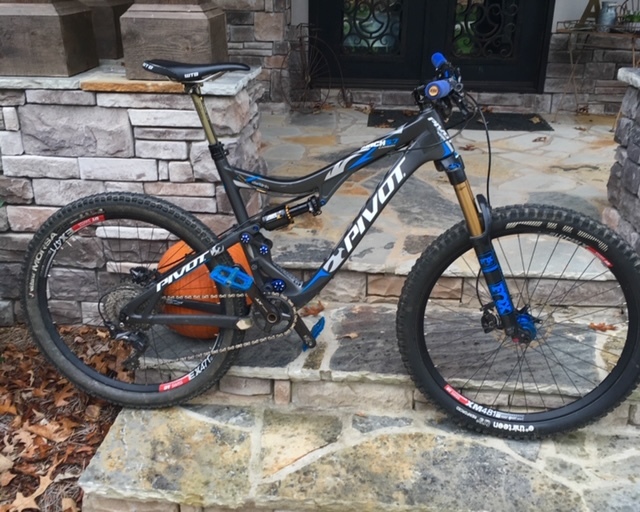 I purchased a Pivot 5.7c about four years ago, and while it is a 26" frame, Pivot had blessed it to run with 27.5 f/r. Tried that but didn't like the limited tire size in the back, the reduced rear travel and the higher BB. Put a big 26" tire in the back and it just worked. Read all the info on Liteville and Foes and the science is interesting. I've moved on to another bike, but the Pivot made its way to my son so I still get to ride it every now and then. Doesn't give up much to today's geo bikes really. Good looking bike! Did you measure the change in BB height with the 1" smaller rear wheel? I'm assuming .5"? Is that originally a 27.5" or a 29" Process? Looks really nice, almost like it was meant to be like that in the first place. I am strangely attracted to the 97.5" concept even though it probably doesn't make sense in the terrain I ride. Since the 29 and 27.5 Process had the same rear triangle, I thought it would be better to use a 29 frame for the build. Mix of the ikon 2.35 thread and the 2.4 front tire thread. 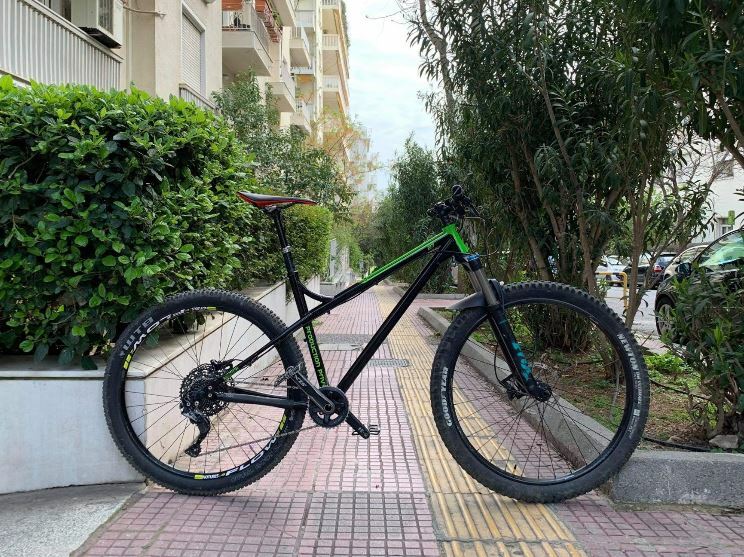 650b Front / 26" Rear vs. 650B Front & Rear? "Kliane" "Klein" "Quasi Moto" "Paul"